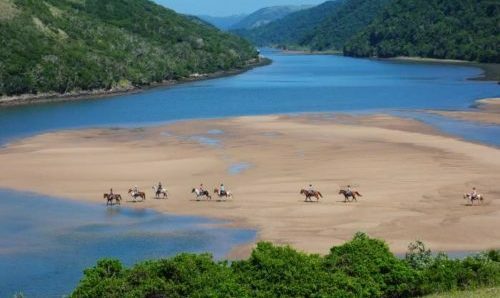 330km of unspoiled coast, deep river swims to navigate, thrilling beach canters and 12 days of spectacularly rugged and breathtaking wilderness; welcome to The Wild Coast Horse Expedition. 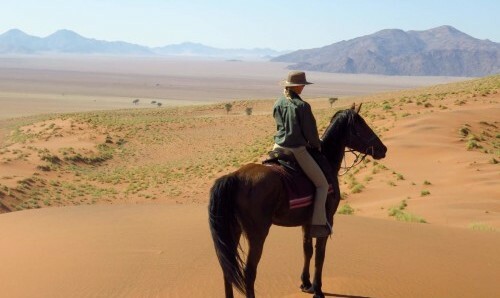 Be thrown back to a time when long journeys were made on the back of a horse and take on this epic adventure – a ride like no other which traverses the iconic and remote landscapes of southern Africa. Be simultaneously challenged and enchanted by your surroundings and tackle one of the longest, toughest and most exhilarating rides on the planet. This awe inspiring ride is not for the faint hearted; riders will need to be fit, brave and willing to push themselves to the limit. The biggest step out of most people’s comfort zone is crossing the many rivers which chop up this stunning coastline. However, under the expert guide of Barry Armitage and Joe Dawson, who have thousands of kilometres of expedition under their belts, this challenge will become one of the highlights of the Wild Coast adventure. This ride isn’t about big 5 viewing, its about the ride; if you are a very experienced rider, fit and adventurous and want an unforgettable experience, riding fast paced, challenging, stretches of South Africa’s stunning coastline then this is the ride for you. Arrival and Departure Arrival Durban International Airprt and departure from Morgan Bay. Riding Level This ride is for fit, brave, very capable riders only. The Wild Coast is one of South Africa’s most remote stretches of shoreline. Stretching from East London in the Eastern Cape all the way north to Port Edward and the southern border of KwaZulu-Natal, the region boasts some of the most beautiful and dramatic coastal scenery in the world. It is a place of steep green hills, rugged rockfaces, plunging cliffs; a land of untouched pristine white-beaches, forests, untamable waves – and numerous shipwrecks. 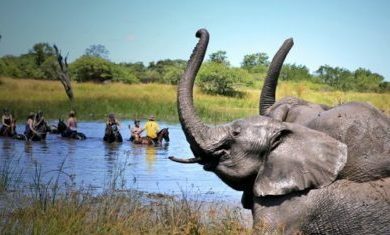 You will be transferred from King Shaka International Airport, Durban to the Old Pont in Port Edward on the banks of the uMtamvuna river: the border between KwaZulu-Natal and the Wild Coast. After settling in and freshening up, you will be introduced to your four-legged companion for the 13 days of travel and 350km that lie ahead and you will be given a chance to test your riding gear. Over dinner you will get to know your fellow adventurers and your guides, Barry and Joe, will brief you on the adventure that awaits. After rising early, you will set out on your first full day of riding. The ride begins by crossing the uMtamvuna river and entering the Wild Coast. 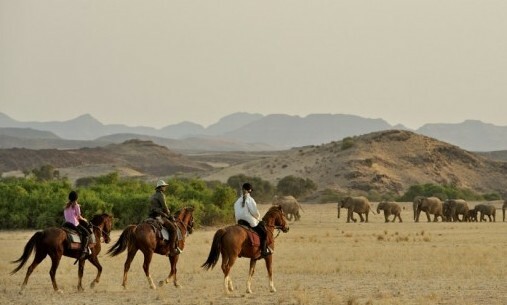 You will set out at a brisk pace, trotting and cantering along some 20 kilometres of pristine beaches, to reach the major obstacle of the day, the mighty uMtentu river, before high tide. 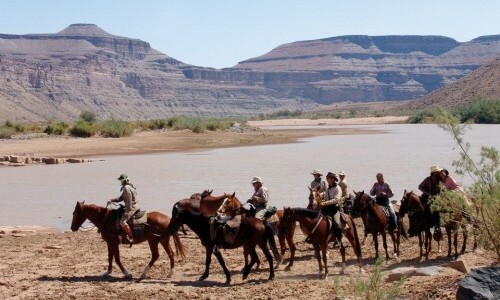 Once your first swim is complete, you will have time to rest and congratulate your horse and yourself for crossing one of the major rivers of the trip. 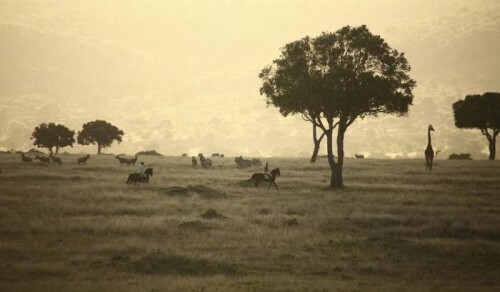 Lunch will be taken on the river bank before you enter the rolling hills of the Mkhambathi Nature Reserve and there is opportunity for some sightings of game before you ride to Msikaba, situated just beyond the reserve. 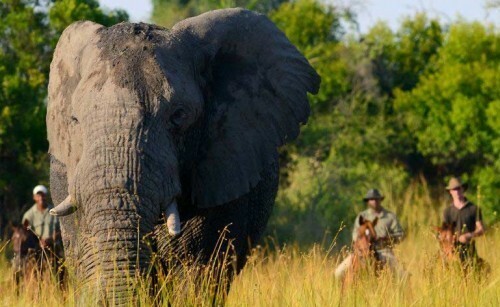 Arise to yet another stunning African morning and prepare yourself for day 3 - it’s a big one! The hills of the Mkhambathi Nature Reserve drop away dramatically, as a shelf of rock plunges into the Indian Ocean. Excellent terrain means you will cover plenty of ground as you follow the coastline set against the backdrop of huge white waves that explode against the rock. You will later head inland to more wild, rugged and remote country; crossing the famous Waterfall Bluff and stopping briefly to look at one of the few sites in the world where fresh water drops directly into the ocean. The last stretch of your day’s journey is a steep descent to the beaches of Mbotyi and a last canter across the sands, urged on by the promise of hot showers, and the delicious dinner that awaits. Perhaps even indulge in some oysters that will have been caught off the rocky shoreline that day! Today’s ride is filled with dramatic coastline; hill climbs with precipitous drops into the Indian Ocean, forested valleys, pristine beaches untouched due to the inaccessible and remote nature of the landscape and on top of this you will also have ample opportunity for whale watching. You will aim to cross the uMzintlava river at low tide, hoping that rains have not swelled the waters, before lunching and resting on the banks of the beautiful estuary. The day ends at The Pont in Port St Johns, on the banks of the uMzimvubuan, an idyllic setting as the crew light a campfire and prepare dinner. You can sit feeling beautifully exhausted by a day spent in fresh clean air, listen to the sounds of the ocean and take in the spectacular stars of the Wild Coast sky. From Port St Johns, head into the forested hills and the Silaka Nature Reserve, before dropping down to the coast again and the beautiful beaches of uMngazi. You will cross three significant rivers today, with one, the uMngazana, being a swim. After getting wet, weave your way inland again amongst the forested hills and valleys before our day ends at The Kraal Backpackers, where your bag will be ready and waiting. After freshening up, you may have time for a beer in the local village, or simply enjoy the special ambiance of The Kraal and its beautiful setting, before enjoying a dinner prepared by the women of the Mpande village. 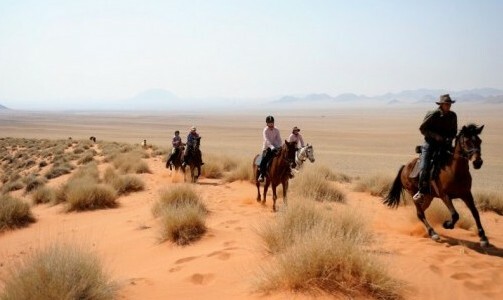 Enjoy cantering down the coastline to the very special luxury of the Hluleka Nature Reserve. The shorter day gives your horses a chance to rest while your guides get the fires burning and provide you with a braai – or South African barbecue – quite possibly the culinary highlight of your stay. Today is going to be another big one! You will be faced with some extreme coastline as the countryside steepens and the valleys grow in depth. Your resolve and stamina will be tested by the big hills, deep forest valleys, and occasional pristine beaches and the simultaneously spectacular and challenging terrain you cross. You will complete one major river crossing, the uMtakatye, which may require a detour inland to cross by bridge if there have been recent rains. In the afternoon you will pull into the uMdumbi River Mouth and Mdumbi Backpackers. Time permitting you will visit the local shebeen (or watering hole) for a well-deserved beverage before a shower, dinner and a beautifully soft bed. Departure on this day will be timed to the tide, to make for easier swimming of the nearby uMtata River, the day’s big challenge and heart-stopper. However, with this obstacle behind you, the day can be spent sunbathing and drying out on the banks before a gentle ride, offering breathtaking views from the high cliffs that drop dramatically into the Indian Ocean. You will pass the iconic Hole-in-the-Wall. Here the Mpako River meets the ocean; if water levels are high this may present a swim, but once across, the route returns to high ground above the cliffs and some thrilling climbs and descents to sandy bays. A last blast down the untouched beach will take you to Bulungula Lodge, your final destination of the day. After breakfast you will ride out, hugging the coastal cliffs and navigating some fairly precipitous paths. You will pass the iconic Hole-in-the-Wall. Here the Mpako River meets the ocean; if water levels are high this may present the first swim of the day but once across the route returns to high ground above the cliffs and some thrilling climbs and descents to sandy bays. 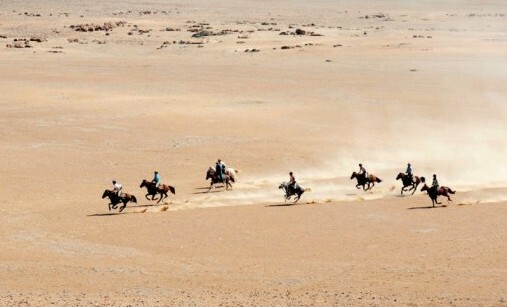 The river crossing today is likely to be a swim, however once past that hurdle the day progresses to grassy hills and magnificent stretches of sand that present – the often irresistible – temptation to release your inner cowboy and go for some carefree gallops. After lunch you will pass through the Dwesa Nature Reserve which boasts stunning coastal forest before you reach The Haven and all its welcoming creature comforts. Again this morning’s departure will depend on the tide in order to make the crossing of the Mbashe River. This crossing conquered, and adrenaline running through your veins, you will set off for a long day's riding, finished by another swim at the Nqabara River. Today you will cover ground and yet more spectacular coastline, sights which will have become imprinted on your memory, an iconic part of your epic adventure. Finishing up, you will ride into Kob Inn. Now routine, but always as thrilling, your day will begin with the crossing of the nearby Qora River. Once again, crossing conquered the day promises more blissful riding over ridiculous Wild Coast beaches and rolling hills. You will begin to wind your way through the coastal scrub, moving in and out of the trot and canter with the rhythm of the terrain. It will be an emotional moment as you pass the famous wreck of the Jacaranda and cross the Kei River which marks the end of the Wild Coast. This will be a rather unusual crossing as both horses and riders will cross by ferry! After bidding a sad farewell to your trusted steed, who will have become a close friend over the 14 days, you will have a chance to shower and freshen up. Reveling in the satisfaction and wonder of completing such an epic expedition you will gather, to rest your tired bodies, and enjoy a last dinner together as a team. Day 12: You will gather for a last breakfast before departing as you have arranged. 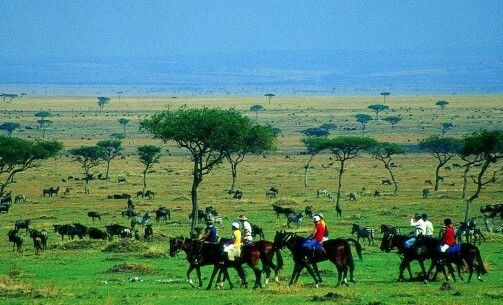 Accommodation is a mixture of hotels, lodges and backpackers. Modest accommodation but providing all those essential creature comforts and situated in beautiful settings.